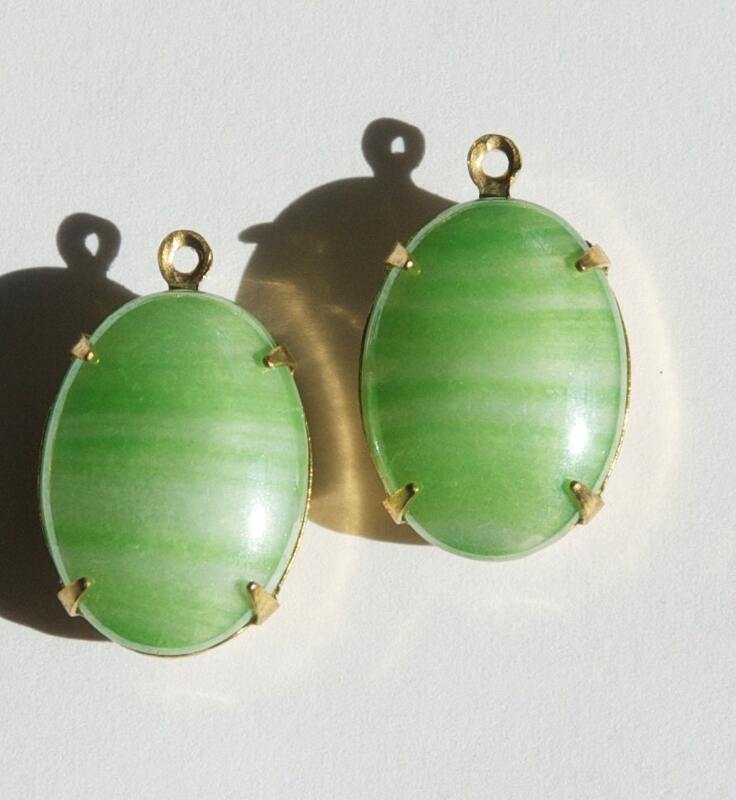 These are vintage green striped glass stones set in a one loop brass setting. There is a shiny finish on these. The stones measure 18x13mm. You will receive 2 pieces.